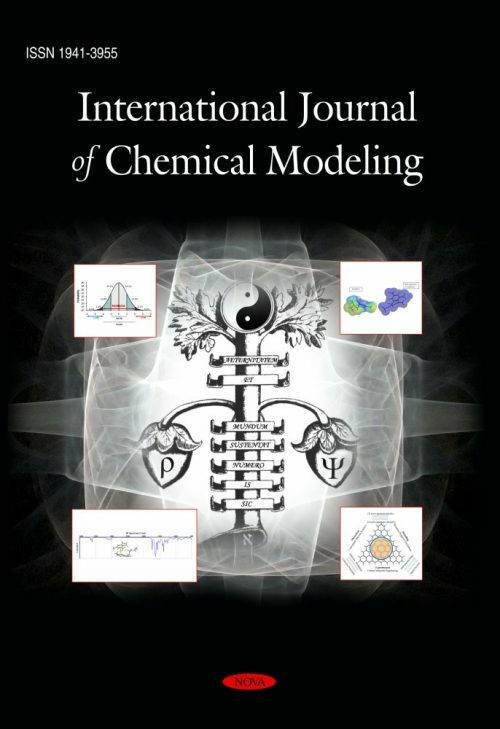 The International Journal of Chemical Modeling is a quarterly, peer-reviewed, academic journal that aims to give fresh and innovative perspectives on all fundamental (mathematical, physical, and computational) aspects of chemical models and modeling approaches. It purposes the unfolding of theoretical ideas in serving the unification of chemical concepts, from structure to reactivity. Ideas regarding inter- and trans-disciplinary environments among the natural sciences, especially those related to biology, nanotechnology, ecology, and medicine, are highly encouraged. International Journal of Chemical Modeling is a peer-reviewed journal that publishes four issues per year. The journal is owned and operated by Nova Science Publishers and funded entirely by subscription revenue and author-optional publication services. Articles should be submitted by email to one of the Editorial Board Members. A link to the list of Editorial Board Members is provided below. Please remove any identifying information, such as authors' names or affiliations, from your manuscript before submission. Make sure that figures and tables do not contain any reference to author affiliations. Choose file names with care, and ensure that the file’s “properties” are also anonymised. If you are using Office 2007 or later, consider using the Document Inspector Tool prior to submission. MS Word and Latex are the preferred input programs. The manuscript should be typed in Times New Roman 12-point font and contain these headings: Abstract, Introduction, Conclusion, References, and any other headings deemed necessary within the chapter to reflect the important subsections or divisions. The abstract should contain between 100 and 400 words. If you are using Latex, Nova requests use of the Nova macro. This is ARTICLE.STY set at 5.5 inches (13.97 cm) and letter size (not A4 paper). Please try to use outside justified page headers. If you would like to add any packages to this macro beyond those already specified, it is mandatory that the corresponding .sty files be submitted with the chapter. Nova currently uses the Windows Operating System. For any explanatory notes, please use footnotes. 1. Pearson R.G., Absolute Electronegativity and Absolute Hardness of Lewis Acids and Bases, J. Am. Chem. Soc., 1985, 107, 6801-6806. 2. Bensaude-Vincent B., Histoire de la chimie, La Découverte, Paris, 1992. 3. Moriguchi I., Hirono S., Fuzzy adaptive least squares and its use in quantitative structure-activity relationships, in QSAR and Drug Design – New Developments and Applications, T. Fujita (ed. ), Elsevier Science B. V., 1995. 4. Matos J.M.O., Quantum Chemical Methods Applied to Problems in Molecular Spectroscopy, PhD dissertation, University of Lund, Sweden, 1988. 5. Borelli M.E.S., Kleinert H., Vertical melting of a Stack of Membranes, Berlin preprint, arXiv: cond-mat/0004432, 2000.